It has been far too long since I’ve dabbled in the utterly rewarding craft that is blogging, so I’m making my 2009 return a game-changer: I will from now on discuss the topic nearest and dearest to my heart. No, it’s not the leftover enchiladas in my refrigerator. It is, believe it or not, filmdom. To begin, I’ve decided to take a look-see at the cinematic offerings that we’ve been rewarded with since January 1. What follows is my August retrospective, and, in honor of the eighth month, they’ll be listed in Top Eights. Coraline – Though January fare in cinemas is often hardly magical, there is simply no explanation for the bit of goodness that is Coraline. This 3-D surprise gem, from the likes of Neil Gaiman, among others, takes the story of an outsider-type girl looking for a more exciting living situation and captures it in stop-motion, 3-D glory. The title character is slightly curmudgeonly in her rain slicker and sourpuss face, and when she discovers an alternate reality in which her parents turn from drab to doting, things seem all-too-perfect. 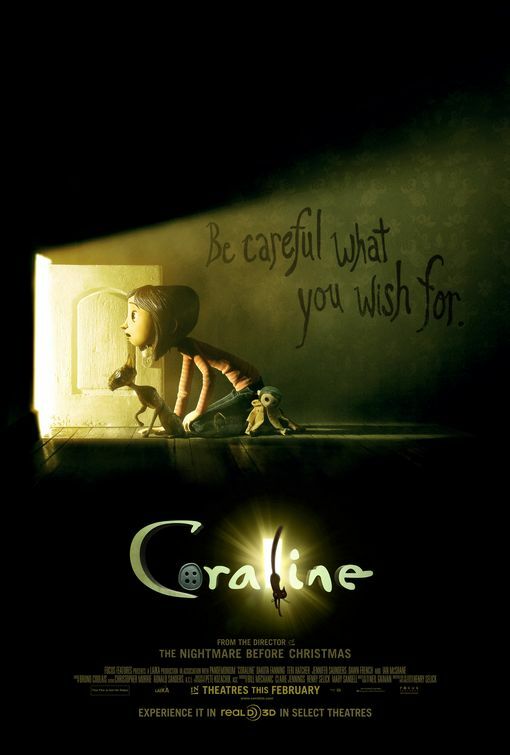 Boasting some impressive visuals and a quirky soundtrack, Coraline delivers some unlikely goods. Oscar Odds: Though its status as an animated film will hinder its chances at any major recognition, it is on track to steal at least a nod in the Best Animated Feature category. 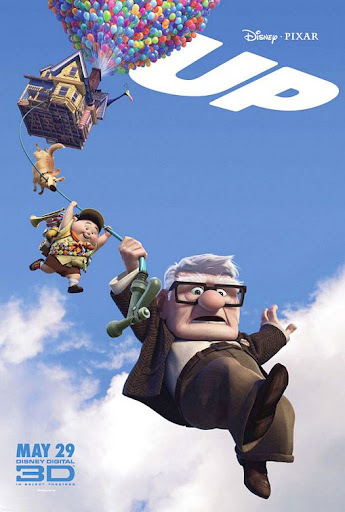 Up – Though it’s hard to follow up an exceptional effort from last year, the genius scribes over at Pixar have created a touching, effective tale of two gents shattering the generation gap. The result of their efforts is an equal parts heartwarming and heart-wrenching adventure that, accompanied by amazing visuals and a fitting score from Michael Giacchino, screams repeat viewing. Bolstered by delightful voice work from Ed Asner as Carl Fredericksen, the film continues the production company’s string of visually and emotionally stunning work. Oscar Odds: Due to the recent Best Picture rule change, the buzz has been that this charmer will be the first animated film to grab one of the top spots since 1991’s Beauty and the Beast. And this reviewer agrees. Look for it to take additional spots in the Best Animated Feature, Best Original Score, Best Original Screenplay, and Best Sound Effects Editing categories. Drag Me To Hell – Highly effective counter-programming to Up (they were released in the same weekend), Drag Me To Hell is a true joy, in the most devious of ways. Sam Raimi thankfully takes a break from the onset of monotony in his Spider-Man series in a return to form. Alison Lohman is the perfect wilting flower turned cursed action hero to go head-to-head with the ingenious Lorna Raver as the elderly client who sends the devil to her doorstep. Sure, Raimi jumps at every opportunity to make the audience leap from their seats, but it’s a gasping, short-of-breath good time nonetheless. Oscar Odds: It is a rare feat indeed when the Academy shines down upon a horror film. Unless you’re The Sixth Sense, it’s unlikely you’ll see any nominations. Its only opportunity may be in its grotesque, but effective makeup work. 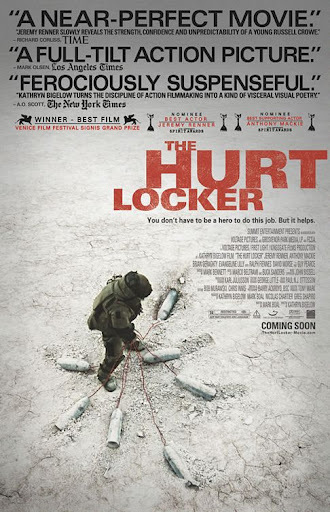 The Hurt Locker – Few efforts to depict the current war have come as close to greatness as The Hurt Locker. Kathryn Bigelow directs Jeremy Renner and Anthony Mackie to exceptional turns as members of a crack bomb squad finishing out their tours of duty. The intense cinematography and enveloping setting make for a viewing experience that is, at times, unsettling. And though the characters are deeply flawed heroes, it’s difficult not to fear and worry for them as they refuse to sweat cutting a few red wires. In a season typically free of poignant and affecting pieces, Bigelow’s stab at war-time cinema delivers. Oscar Odds: Having been released so early in the year, it’s unlikely it will see any love from the Academy unless its home video release gives it an extra push at the end of the year. Perhaps it will have some traction in Best Sound or Best Cinematography. 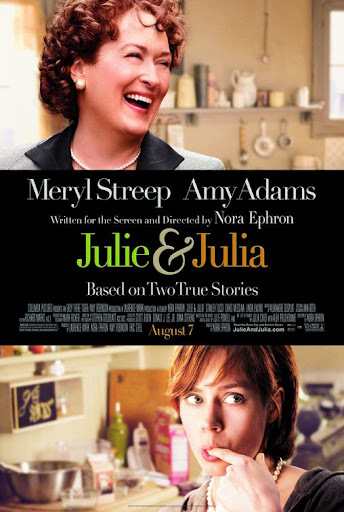 Julia & Julia – The gender-defying audience pleaser Julie & Julia has cemented Meryl Streep’s status as the one true female box office star since Julia Roberts. In the wake of a string of hits, Streep has now officially gone from awardworthy muse of the late 1970s and 80s to the 2000s MVP. The film plays like a romantic comedy, though the true genre at play is food worship. Adams, though given a less enchanting story-line, does magnificent work as the flawed heroine Julie Powell. Perhaps director Nora Ephron has found a new Meg Ryan. But it is clearly Streep’s impeccable performance as Julia Child that truly wows. Oscar Odds: Annual honoree Streep will likely land a spot in one of the acting categories. Beyond that, its closest chance for a second nod is likely Best Adapted Screenplay. 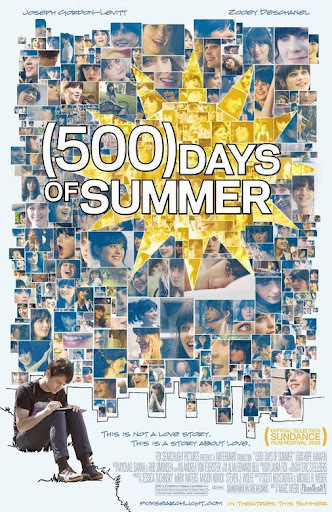 (500) Days of Summer – By now you’ve of course heard of the year’s resident indie-turned-phenomenon (500) Days of Summer. What you may not know about it is that it boasts one of the best imperfect love stories the cinema has seen since Annie Hall. Of course, it being the summer’s indie success story, it’s full of quirk and eccentricity and an exceptional soundtrack. But it’s the lead performances from Joseph Gordon-Levitt and Zooey Deschanel that surprise. Neither have been better, and this injection of interest in their careers should bring them some mainstream success in no time. Oscar Odds: Though undeniably likable, Little Miss Sunshine this is not. Oscar will likely ignore it, save for in the Original Screenplay category. The Cove – There is a fine line between blatant activist filmmaking and truly great art when it comes to documentaries and the environment, but in line with recent greats such as An Inconvenient Truth, The Cove uses elements of thrillers and turns a heinous act against nature into a shocking portrayal of human flaw. You don’t have to be an avid animal lover or even a passive one to have a strong reaction to The Cove. Its story of a Japanese fishing village with a disturbing secret is one that you won’t soon forget. 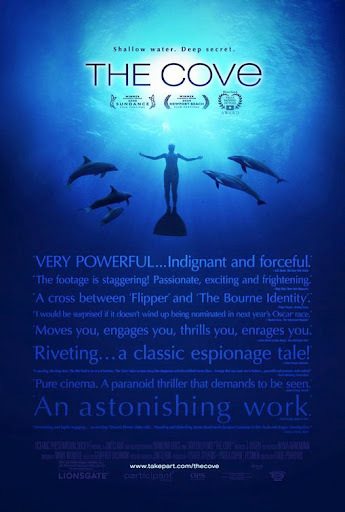 The footage is unbelievably striking, and filmmaker Louie Psihoyos has crafted a daring vignette of the whaling industry. Oscar Odds: Obviously the film has a real shot at the Best Documentary Feature category, but there is an apparent push for Best Picture status in the wake of the category rule change. My hunch says this is slightly out of the realm of possibility. 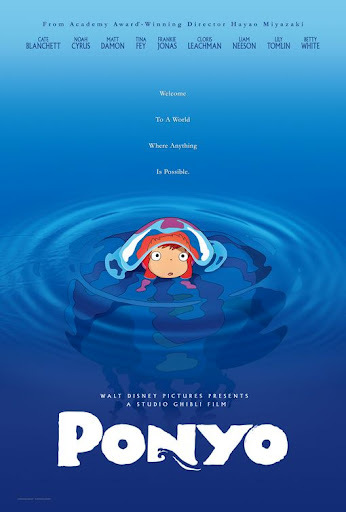 Ponyo – Hayao Miyazaki has an unflinching gift at creating family films that appeal to an international audience. And thanks to Disney’s efforts with Ponyo, his vision is at last accessible to the majority of the country. Though Spirited Away will undoubtedly remain his absolute best, Miyazaki, with the assistance of a slew of American voice acting (Tina Fey, Betty White, etc.) and his ongoing partnership with composer Joe Hisaishi, has created yet another lasting gem. Filled with absolutely stunning visuals and whimsical storytelling, Ponyo can rest easy as part of the Miyazaki treasure trove. Oscar Odds: Though Miyazaki’s work is deserving of more merit than simply in the Animated Feature category, it’s likely that it will only see a nomination in this area.